This fast-paced, immersive, and interactive, full-day of training will give you the knowledge and tools you need to design for a circular economy. By partnering with Snepo FabLabs, we have created an experience that will immerse you in a world of technology and product design. Meet the makers, experiment with equipment and discover the unlimited ways materials, data and technology are unlocking circular economy opportunities. If your organisation makes products, uses data and technology solutions, wants to repurpose waste or you are interested in expanding your own skills in this area, this is the day for you. Candice Quartermain has founded her own start-ups, has managed the future of innovation for global enterprises and is now taking center stage connecting industries and regenerative design with her organisation, Circular Economy Australia. Founded in 2010, Circular Economy Australia seeks to push the nation into innovation superdrive and kick-start traditional businesses into Silicon Valley thinking. By moving away from the current take-make-throwaway model towards one of redesign-reuse-regenerate, Circular Economy Australia are pioneering how innovation can aid this transition. Ben Moir is the founding member of Snepo Research where for the last 12+ years he has used his diverse knowledge to design novel systems combining quirky hardware and bespoke software. Formally trained as an Electrical Engineer, he brings to Snepo a commercial grounding but also likes to roll up his sleeves, taking a hands on approach to design and product development. Ben’s latest endeavour is the setup of Sydney’s first Fab Lab. The Snepo Fab Lab provides widespread access to modern means for invention. If these are your needs, this will be a valueable experience for you. The Circular Economy challenges our take, make and throw away approach for one that is inspired by nature, driven by creativity and designed to be regenerative. The Circular Economy is generating thousands of new jobs, creating huge investment and designing with a conscience. It is a $4.5 Trillion dollar global opportunity and a $26bn one in Australia. All we need to benefit is be open to rethinking the way we do things. This training is designed for consultants, business owners, managers, entrepreneurs, educators, innovators, policy makers, local council and academics who want to use the principles of a Circular Economy to rapidly up-skill their knowledge, do work as a force for good and meet other like minded professionals. The cost of business is increasing. This is caused by how we manage our time and resources. From the materials we buy, the relationships we manage and the waste we create. Everything is interconnected and has an effect on how we perform. 8.12 The committee is of the view that the Australian Government must act urgently to transition away from a linear economy to a circular economy which prioritises the collection, recovery and re-use of products, including within Australia. This transition must include a suite of regulatory and policy changes aimed at influencing behaviour, as well as investments in infrastructure and technology. Attending this training will help you identify how to operate your organisation more efficiently and start to reap the associated financial rewards. The training is creative, fast-paced, practical and interactive. You will meet like-minded people who are as passionate as you are to solve problems, not just talking about solving them. The day is designed to let you immerse yourself in your own area of expertise, co-creating with a room full of professionals who want you to succeed. Be it a business challenge, a new product solution or personal career development. Whatever your interest, our goal on the day is to use our collaborative intelligence, our networks and new learnings to develop a strategy and get you started. Expect to walk away with an accountable action plan and an excitement for the future. 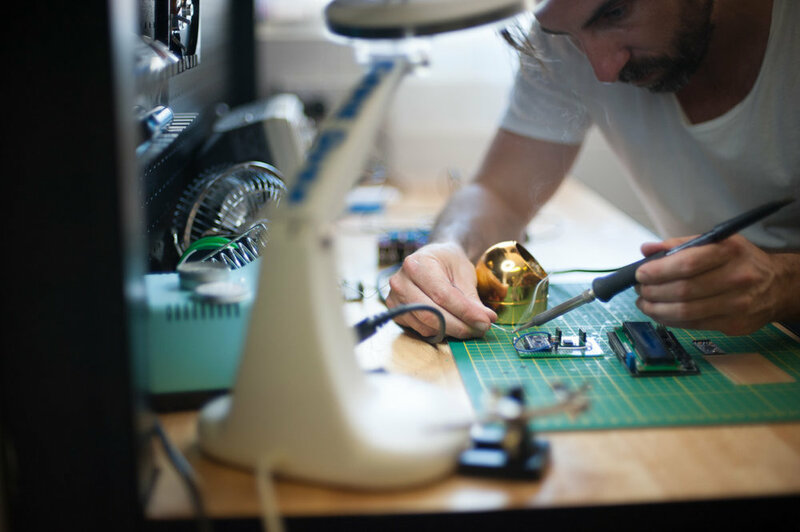 Fab labs provide widespread access to modern means for invention. They began as an outreach project from MIT's Center for Bits and Atoms (CBA). CBA assembled millions of dollars in machines for research in digital fabrication, ultimately aiming at developing programmable molecular assemblers that will be able to make almost anything. Fab labs fall between these extremes, comprising roughly fifty thousand dollars in equipment and materials that can be used today to do what will be possible with tomorrow's personal fabricators. Text courtesy of MIT's Center for Bits and Atoms. Snepo FabLab is 200 square metres of dedicated space with a range of machines, tools and materials available. An interdisciplinary space designed to support commercial clients, entrepreneurs and students working with emerging technologies. We also have regular community open days to help facilitate the development of open source solutions with a particular focus on the local community. Held at the newly opened Snepo Fablabs, you will have access to a world of innovative technologies, making equipment and more. We proud ourselves on making our training accessible to everyone. Every training day seeks to bring a broad, diverse group of different thinkers together. If you are an innovator, start up, not for profit, charity, community worker or academic? You may be eligible to attend our training days for a discounted rate. Alternatively if you want to attend but wish to set up a payment plan to suit your needs, we can accommodate this for you.